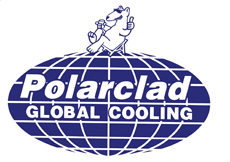 Polarclad Global Cooling only uses first class materials and workmanship in the production and installation of their wine tank insulation system. Overlooking all aspects of quality control, from on site inspections, material ordering, manufacture and installation ensures a quality product unmatched in the industry. Using inferior materials can result in panels giving way and de-lamination. Poor workmanship can result in panel slippage and degradation of insulation properties.